Like pregnancy and delivery, menopause is a normal life event. Yet every day, I see smart women who are not being given the right information about the changes they are facing during midlife. Many of my patients nearing 50 regard the years leading up to menopause, called perimenopause, as living hell. But that does not have to be the case. The most important thing you can do when you are facing any life change is to arm yourself with the facts. In the case of menopause, you first have to understand what’s happening inside of your body. What most people refer to as menopause is actually a process involving three stages: perimenopause, menopause and postmenopause. Each phase is controlled by a tiny gland in the brain called the pituitary gland, along with the ovary. The pituitary gland tells the body how much of certain hormones to make throughout our lives. Levels of estrogen, progesterone and testosterone fluctuate throughout a woman’s life, influencing the reproductive system in many ways. During perimenopause, which usually begins sometime in the late 40s and can last up to eight to 10 years, the ovaries start to produce less estrogen. The periods may occur at unpredictable intervals, and bleeding can be quite heavy. You may not notice the symptoms until the last few years of perimenopause, when the decrease in estrogen accelerates. 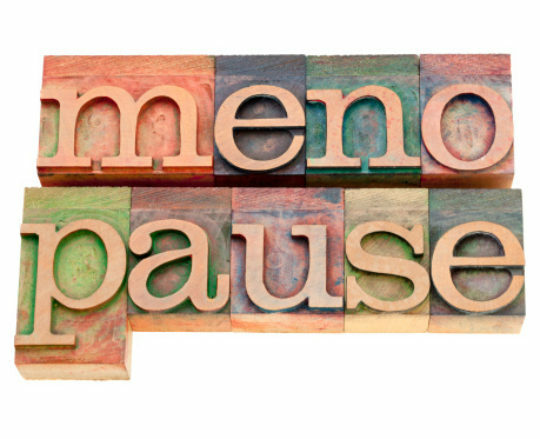 Perimenopause lasts until the ovaries stop releasing eggs completely. Ironically, the worst symptoms of menopause can occur prior to the final menstrual period which is the definition of menopause. Once a midlife woman has gone without having her period for 12 consecutive months, she is medically defined as menopausal. Your physician can confirm menopause by analyzing symptoms associated with estrogen deficiency and performing a thorough history and physical exam. It is helpful if you have kept an accurate record of your menstruation, including the number of missed periods. Your physician also will ask you about classic symptoms, like hot flashes. The physical exam should include an assessment of vaginal tissue, which is particularly sensitive to estrogen loss. A bone density may also be needed. The bone is very sensitive to the loss in estrogen. Unfortunately, there is no such thing as a "menopause test." While there are a number of tests that can provide a snapshot of various hormone levels, they are not accurate in confirming menopause. Your physician may use tools such as a vaginal pH test, or blood test for follicle-stimulating hormone (FSH) as supporting evidence as he or she evaluates where you are in the life cycle. The first five years of postmenopause, after the last menstrual period, are generally the most critical time in terms of symptoms and bone loss, and is generally the time frame that hormone therapy is initiated, if indicated. And if that’s not enough, menopause and aging go hand in hand. Naturally, the loss of estrogen during menopause is linked to a number of common health problems that may also be considered signs of aging. After menopause, women are more likely to suffer from changes in bladder function, loss of skin elasticity, decreased muscle tone and bone loss, changes in vision and weight fluctuations with a slower metabolism. Sounds intimidating. But many of these problems can be controlled with relative ease by eating well, exercising regularly, protecting the skin from sun damage, taking the right vitamins and supplements (particularly vitamin D3 if you live in a northern climate), and staying actively involved in life as you work with your physician to design a personalized regimen. This is no time to "go it alone." So many women in distress at midlife are told "this is natural," or "just wait it out." They may turn to unregulated therapies because they feel they don’t have other choices. If your physician isn’t taking your concerns seriously and offering real solutions, seek another doctor. I am happy to say that at Cleveland Clinic, we have the highest concentration of North American Menopause Society credentialed specialists in the world. I’ve made it my personal mission to ensure that women get the help they need during this critical time of life. Many women feel most comfortable in their skin during midlife and beyond. You’ve acquired wisdom and experience, and perhaps more confidence. Your life perspective and interpersonal skills are sharpened. Nagging symptoms or body changes may have inspired you to clean up your act and take care of your body. Now’s the time to adopt healthy habits for the rest of your life. Midlife can be the perfect time to reinvent yourself, learn a new skill, renew old friendships and begin some new ones, as well as make new spiritual and/or career connections. I implore women to become their own healthcare advocates. Keep records. Ask questions. Seek second opinions. The more you know, the more you can control your health and vitality. Dr. Thacker is the founder of the interdisciplinary Cleveland Clinic Center for Specialized Women’s Health and is a trailblazer in women’s health. She recently was named executive director of the Speaking of Women’s Health, a national program that educates women to make informed decisions about health, well-being and personal safety for themselves and their families. She is the author of "The Cleveland Clinic Guide to Menopause," available online and at major book retailers.